Zapstars Productions Part Of The Sculpture By The Sea Media Launch. 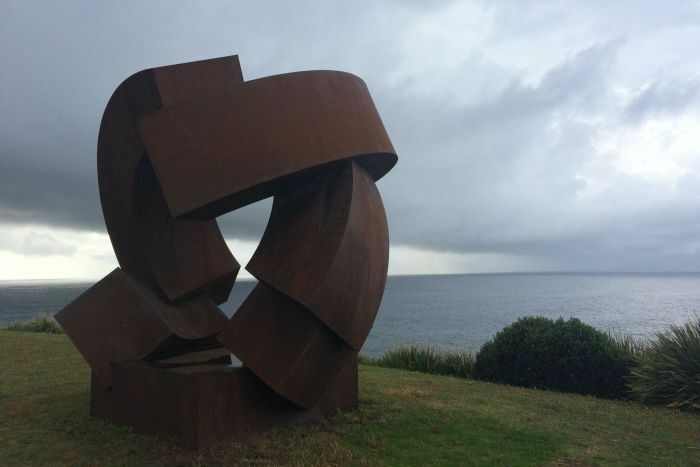 The winner of Sydney’s Sculpture by the Sea 2015 is German artist Jorg Plickat for his work ‘Divided planet’, described as a political statement about global warming and poverty. Plickat said his sculpture represents the energy wasted on political conflicts that stop world leaders from resolving urgent environmental and humanitarian problems. “Instead of together trying to solve the urgent problems like global warming and poverty, our planet is divided into political blocks wasting all their energy in stupid confrontations,” said Plickat in his statement describing the work. Plickat beat 106 other contenders to win the $60,000 prize. To continue reading click here for the full article.